Life remains one of the greatest and most beautiful mysteries of the universe. For one, it continues to baffle scientists that we only seem to have found life here on Earth and nowhere else in the vast expanse of space. For the time being, at least. The origins of life itself, from the simple to the complex, is a story of scientific wonder — one that is still being written today. In a recent study published in the journal Royal Society Open Science, researchers from the Evolutionary Studies Institute at the University of the Witwaterstrand (Wits University), Johannesburg in South Africa discussed a discovery regarding how complex life evolved on Earth. “Life was a chance event, there is no doubt about that,” researcher Pierre Durand from the Evolution of Complexity Laboratory said in a press release. This chance event Durand was referring to was that small strands of molecules linked up to form larger molecules capable of self-replication. Through a chemical reaction called ligation, simple RNA molecules join with other RNA molecules thanks to an enzyme they possessed. Supposedly, RNAs randomly connected with each other and replicated, thereby jump starting the process of life. 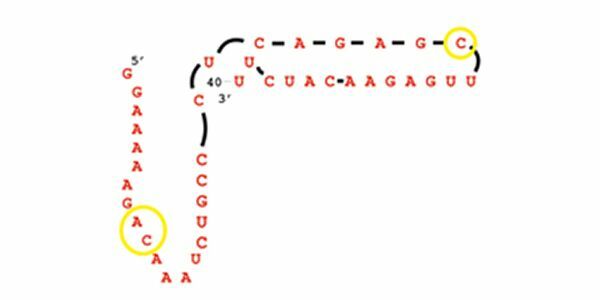 “Molecular trade-offs in RNA ligases affected the modular emergence of complex ribozymes at the origin of life,” Durrand explained. In their research, Durrand and his colleagues successfully demonstrated how it’s possible for small, non-living molecules to become larger molecules capable of reproducing themselves. This is a crucial step in a series of many that made it possible for life to evolve over a long period of time. “Something needed to happen for these small molecules to interact and form longer, more complex molecules and that happened completely by chance,” Durand added. As our understanding of how complex life came to be continues to evolve, we learn more about what makes life possible. Furthermore, now that we know how complex life came to be on Earth, perhaps we’ll be better equipped to find life elsewhere. Whether complex life started on the oceans — as is widely accepted — or on land, what’s clear is that it started at a particular moment in Earth’s history.